I am Marina Rodríguez, psychologist and postop care coordinator for FACIALTEAM. 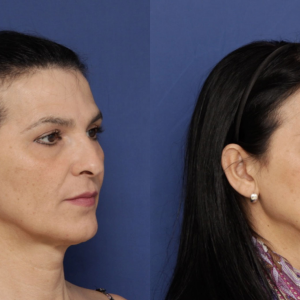 Below I will share a few relaxation techniques which can be practiced before and after facial feminization surgery to alleviate sensations of anxiety which commonly arise during this emotional step in your transition. Being able to stay calm before such step in your life is essential for a successful surgery preparation. It is also the key for a smooth postop period. We need to learn how to apply these relaxation techniques to reach our goal: to keep ourselves calm and stable in order to have the best recovery posible. Of course this will also help to control the stress that grows before surgery, it is very common for people who are going to have an operation to be anxious and worried about it, even if they know that they are making the right decision. In FACIALTEAM, our aim is to ensure the best care and practices for our patients and so we consider that the following relaxation techniques will definitely help you to face the typical stress before the surgery and reach the best anxiety relief that we wish. One frequent source of anxiety is fear of the pain that may follow the operation. When you arrive in Marbella the day before your operation, we’ll explain everything you need to know and talk to you about the pain that you may feel. To ease your concerns: we can tell you that patients do not suffer intense pain after the surgery and that any discomfort is easily treated with the appropriate medication. The pain that you might experience will be no worse than any headache you may have had at some time. Another common source of anxiety is the fear of anesthesia. Patients may be frightened that they will not wake up or, on the contrary, that they will wake up during the operation. There is essentially no likelihood that this will happen. During your operation, you will be constantly monitored by your doctors and anesthesiologists to ensure that everything is going according to plan, so there are really no grounds for these fears. It is also important to think about the expectations you have regarding the results of the operation. If you’re expecting a very radical change or think that your life is going to make a 180º turn because of the surgery, this may generate more anxiety than if you think of the surgery as just one part of a process with several steps. In any case, don’t hesitate to ask any questions that you might have about the procedure, since this will help decrease your level of anxiety before the operation. In order to avoid or calm down this anxiety, we are goind to explain 3 types of relaxation techniques: body relaxation, breathing and relaxation with imagination. Progressive muscular relaxation is a very effective relaxation technique that consists of tensing and relaxing different muscle groups in two different phases. In the first, you consciously tense your muscles for a few seconds and in the second, you release the tension and concentrate on how your muscles feel. Visualization is a technique in which you imagine a feared event and try to feel as relaxed as possible at the same time. This gets you used to the idea of what might happen and prepares your emotions for that event. Every day, for the 15 days before the operation, spend 10 minutes imagining how you are going to feel after the operation, with your eyes closed and in a relaxing setting. Focus on imagining that you’re going to be fine, relaxed, with little discomfort and adapting well. You can combine this technique with music therapy or aromatherapy to reach an optimal state of relaxation. Focusing on your breathing is also a useful relaxation technique. To do this, you want to focus on slow diaphragmatic breathing or simply on how you breathe naturally. Slow diaphragmatic breathing: put one hand on your chest and the other on your stomach to ensure that the air reaches the lowest part of your lungs without moving your chest. As you slowly inhale, bring the air to the low part of your lungs, distending your stomach and belly a little without moving your chest. Hold the air in this position for a moment. Slowly release the air, pulling your stomach and belly in a little, without moving your chest. Try to stay relaxed and let yourself relax even more as you release the air. Inhale counting to five, hold it counting to three and release it counting to five. 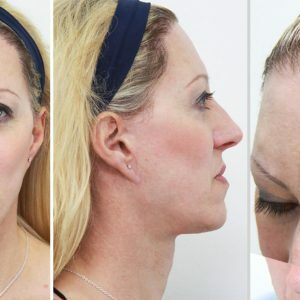 We hope that these relaxation techniques will help you to overcome your facial feminization surgery as a preparation method but also as a way of living the postop period. Regarding the period after the surgery, it is important to avoid any Jacobson face exercise, since it is not allowed to make any effort until stiches are gone.